Fr. 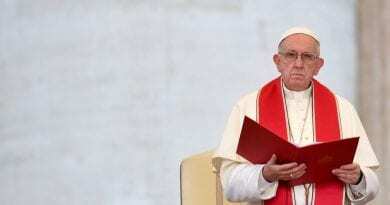 Livio: Our Lady tells us to live the commandments and She has said this before, in recent times. Marija: Even today, Our Lady told us to live the commandments, because only then can we be happy on earth. I mean, She says there is no happiness on earth without the commandments. Our Lady is repeating: “without God you don’t have a future, no eternal life”. That’s why She tells us to live God’s commandments. Could you imagine that they would last so long? Marija: No, we couldn’t imagine. Every day we are living through this grace. I don’t know if you can understand: for us the presence of the Virgin Mary and her apparitions haven’t become a habit, but it’s still a surprise, a gift, a grace; is the Heaven that descends on the earth. This evening in the sacristy before mass I was talking with the Friars and nuns. They were moved by seeing the statue of the Madonna that was carried in a procession with lots of flowers in the midst of all the people and with so many priests who went on the altar. They said their hearts were stirred. Then I smiled and said, ” you delight in having seen a statue! And I see that the real Gospa, that comes down from heaven!” I still get choked up today and I thank God for this great gift. Fr. Livio: Why do you think She has been present for so long? Our Lady appears and tells us, “come back to God, because without God you have no future, no eternal life”. not present on the 24th?. Fr. 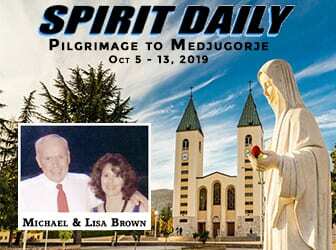 Livio: Tell us about Medjugorje for the 35th anniversary? 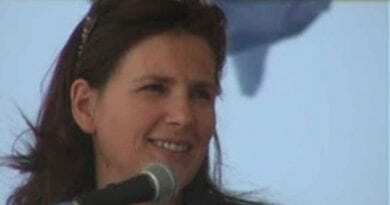 Marija: With much joy and gratitude in my heart. So many people attended the novena which has been challenging and very beautiful even with the climb up on the hill of apparitions in the night and during the day. This year, us visionaries wanted to do the novena with the pilgrims, starting at 6 am and praying the rosary. It was very powerful and the presence of the Virgin Mary could be felt. Where there is prayer Our Lady is present. 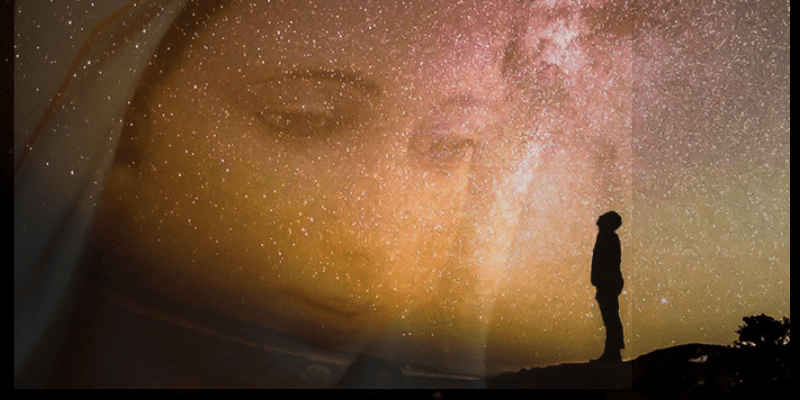 Last night [24th June] Our Lady appeared on the hill for extraordinary apparition [ to Ivan] that lasted a long time, and this evening She has given us a message. At Holy Mass this evening, there were 251 priests on the altar, con-celebrating Holy Mass . The queues for the Confessionals were long and many priests were confessing. Here the presence of God is felt. When the Holy Mass ended there was Adoration which will continue all night. There was an orchestra from Dubrovnik playing; a great celebration with songs of joy, jubilation and thanksgiving to Our Lady. We were moved by the homilies given by the Franciscans every night. It felt like heaven. There were a lot of pilgrims. This morning, when I went on Apparition Hill, I saw a lot of people from Croatia that were in their bare feet. I said hello and I spoke with them before we began praying. They told me that they walked all night, and some have walked for three days in their bare feet for the intentions of the Virgin Mary. I think a person who walks for days in their bare feet for the intentions of the Our Lady, does it just because they have faith. 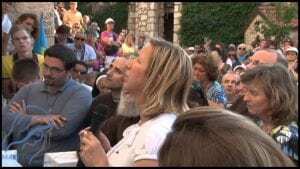 Thank God, in these days the faith is visible and can be felt strongly here in Medjugorje. Marija: None of us could ever imagine or think that Our Lady would appear again. The first day, 24th of June, Our Lady appeared on the hill with the child Jesus in her arms, He was covered with a veil and sometimes she uncovered it to show Him. Those who saw her had the desire and the need to go back the next day under the hill to see if Our Lady would appear again. Since it was the time of communism, my parents feared for my sister Milka, who had seen Our Lady the day before, that she would be taken away. During the time of Communism, many ended up in prison, and many were taken by the police never to return. No one knows where they are buried. I was at home making the dinner and Vicka called for my sister because she felt the need to go there [Apparition Hill], my sister wasn’t there, it was just me and Jacov. We went with her – more out of curiosity.. Our Lady was on the hill and called us. We got scared… While climbing, the stones, the thorns, the bushes, it was as is they were no more, it seemed that we floated like clouds. The first few days were waited at the foot of the hill and when our Lady appeared, we would walk up to her. These were the experiences of the first days. People tried to follow us, but we climbed faster. They said that it seemed that we glided. apparition, you had a very special appearance. This was the first message that Our Lady gave and she was crying. After a few days Our Lady said she came here as ‘Queen of Peace’. I was shocked. We were children and I just thought it seemed too great. When I first came to the house, I started to cry and I said that Our Lady cried and said: ” Peace! Make peace between you! Reconcile!” And many families, as well as many brothers, who were in the war, they made peace. I remember my friends from school, knowing me as a shy little girl , were stunned to see that I was shouting ” peace!”. And they said that the Holy Spirit was in me. It was not us, but it was the presence of the Virgin Mary that changed us. We were no longer afraid of anything, not even prison, nor death, nothing. In our hearts and in our minds there was Our Lady with her presence and her messages. This consumed our life and filled us with joy. With Our Lady, we felt as if we were in heaven… Our house was always mobbed. My poor Mom said: “our house is no longer ours, it has become like the train station!”. People came, went, snooping and we were giving them food, drink, everything that we had… I was wondering why it happened to me. I’m no better than anyone else. We were all surprised. Even my parents didn’t know what to do and could never think why Our Lady chose our family. They started to pray: ” Thy will be done”. Today we give thanks for all those who live the messages of Our Lady… Now I’m going to join with others in Adoration of Jesus, to thank Him for this day. 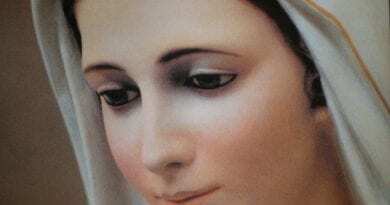 Finally I say, Medjugorje is the Virgin Mary, is the mother, is the Heavenly Mother. As long as She is with us and guide us, we are at peace; because She is our hope, She is the star that’s taking us to his Jesus. Let’s give her all our past and let us be guided by Her. Consecrate ourselves to her Immaculate Heart so that we can be similar to Her. 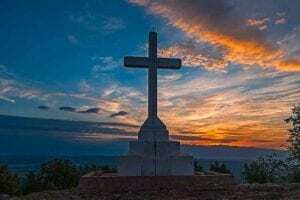 For this, I will pray for you to Jesus now, with all my heart. Marija prayed the “Magnificat” and the Glory be to the Father.